Dr John Morton is an orthopaedic surgeon who offers private practice specialisation in shoulder & elbow and hip & knee surgery. 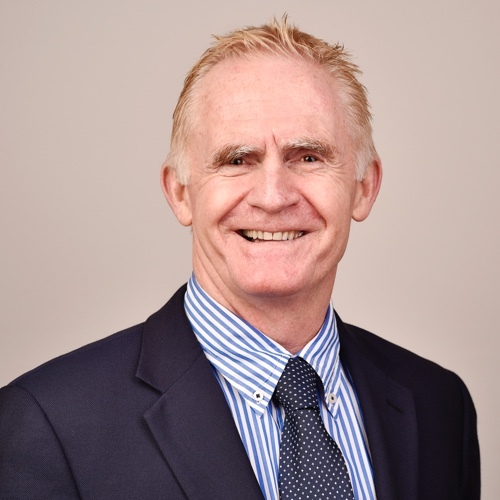 Dr John Morton is an experienced Australian-trained orthopaedic surgeon with over 30 years of experience in arthroscopy, joint replacement (arthroplasty) and reconstructive surgery of both the upper and lower body. He is a Fellow of the Royal Australasian College of Surgeons, a Fellow of the Australian Othopaedic Association and a member of the Shoulder and Elbow Society of Australia. Dr Morton has had great success using the subvastus approach for Total Knee Replacement surgery to minimise muscle trauma and maximise recovery for his patients. He has also been offering minimmally invasive Anterior Hip Replacements surgery since 2011. This has been an exciting approach to hip replacement surgery, allowing quicker rehabilitation with less muscle trauma through a small incision at the front of the hip. Since late 2018 Dr Morton has been performing MAKO ROBOTIC hip surgery through an anterior DAA hip approach. This has proved invaluable in ensuring accurate positioning of components, maximising surgical success. Dr Morton has developed a strong reputation for comprehensive care of his patients from diagnosis, treatment, rehabilitation and prevention of all diseases, injuries and syndromes of the body’s musculoskeletal system. Download and complete the Patient Information and Consent Form.